Situated along the innermost arm of the Nordfjord, this picturesque village of western Norway is surrounded by some of Scandinavia's most captivating scenery. Here lies the largest glacier in all of Europe, the Jostedal, towering nearly 6,200 feet over a deep valley. The green fields, serene lakes, and cascading falls of this region are simply breathtaking. The cruise in and out - all 60 miles of it each way is one of the highlights of a trip to Norway - with a rather small village the apparent reward - and we were a bit wary as we had been here last year and felt that the Birksdal Glacier was a seriously sad disappointment given how much it has shrunk.... but WOW - the Queen of Norway opened up a brand new option this year ...... the Loen Skylift. The Loen SkyLift is simply brilliant - expensive but brilliant. Why? 1. Only 10 minute coach transfer 2. Takes you 990m up! That is over 3,000ft above sea level (nearly as high as Snowdon) in 7 minutes in a beautiful Cable Car. 3. 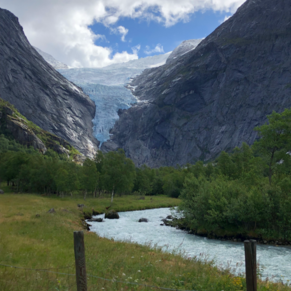 Stunning views are your reward from an amazing viewing station - across the surrounding landscape including the Nordfjord, and the glacier field. 4. Easy new paths enable you to walk on further up.... 5. Excellent mountain top restaurant - yes it is expensive - for two good reasons - a. Norway (it is expensive) and b. it is on top of the mountain! So whilst expensive, approx. £60 per person, it is no more expensive than most excursions, and is easy to book - simply on the quayside office.... Go for it! 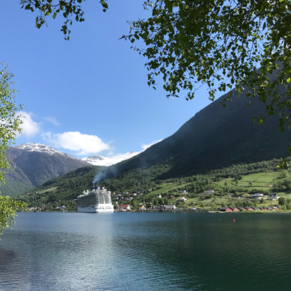 It simply was literally the icing on the cake for a cruise to the Norwegian fjords as it gave you a completely different perspective to that you enjoy on the ship. And oh boy does the ship look like a toy from over 3,000ft up! Probably the nicest, friendliest and cleanest places I’ve ever visited, we did an excursion which was excellent and had a wonderful stroll around the place! Highly recommended. Beautiful place, we did a hike up a glacier from here which was amazing. 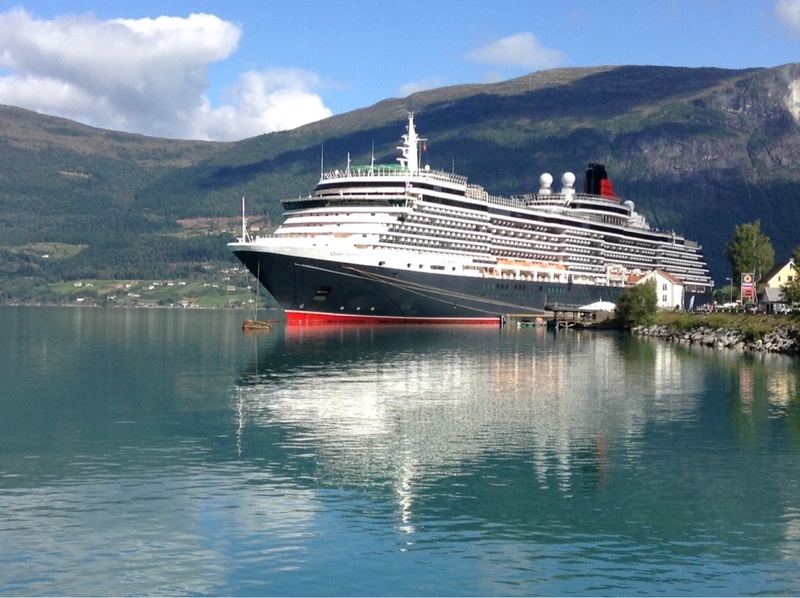 Sailing in and around the fjords is absolutely stunning and a must for all cruisers. Olden is stunningly beautiful. The mountains are breath taking! The people are so friendly and kind. If your disabled like myself, it's not a problem, everyone is so helpful and considerate. A beautiful place to visit. Olden is wonderful. It was Norway’s national day, locals wearing national costume and there was a parade. 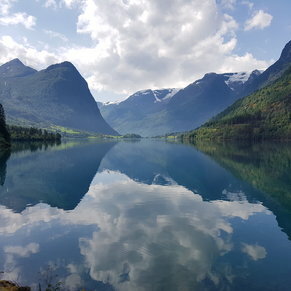 Went on excursion to Stryn, scenery was breathtaking. There are currently 0 discussions about Olden, Norway.